A Holy Cross Teacher evangelizes, educates and inspires through personal witness. A Holy Cross Teacher constantly strives to professionalize, expand and enrich his/her own knowledge in order to better teach and lead the young people he/she is called to serve. A Holy Cross Teacher rejoices in and is nourished by cultural, spiritual and racial diversity. A Holy Cross Teacher believes in the innate potential of young people and strives to reach out to each child with a wide range of learning opportunities. A Holy Cross Teacher believes that a school must also be a family. A Holy Cross Teacher is proud of his/her profession and all that he/she does reflects that professional pride. 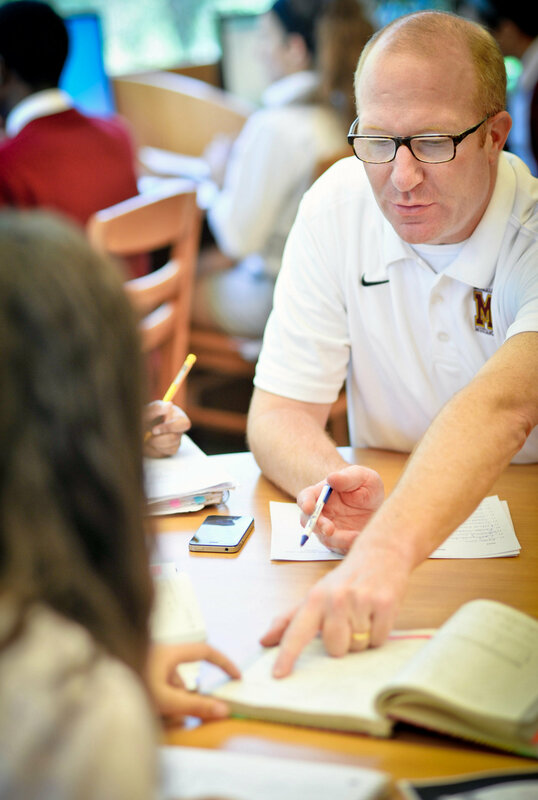 A Holy Cross Teacher instructs not only in a specific discipline, but empowers through instruction and personal witness so that students can become informed and responsible citizens. A Holy Cross Teacher instills in each young person a sense of self worth and dignity. A Holy Cross Teacher fosters among his/her students a self respect and self discipline that allows each student to honor and respect others. A Holy Cross Teacher gives freely of him/herself, and through that generous sharing of self, he/she becomes a model that young people can emulate. A Holy Cross Teacher understands that a school is a building that has within its four walls the power to change the world. Education is the art of bringing young people to completeness.